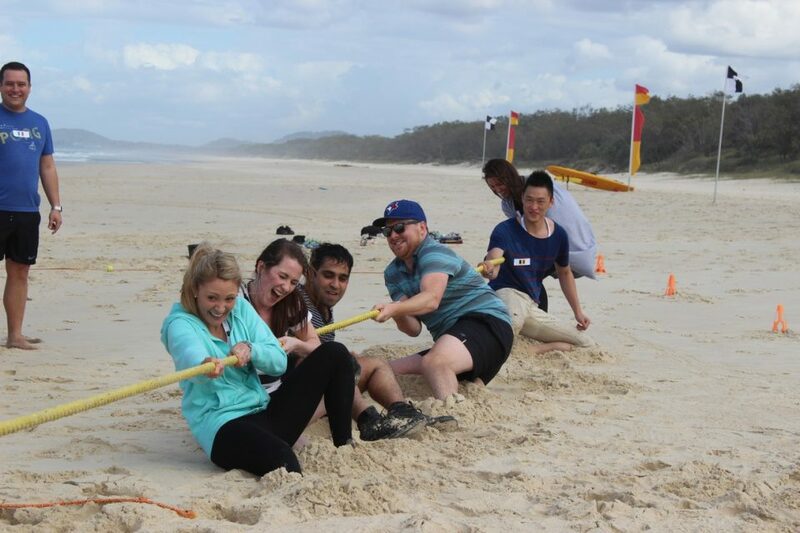 Team spirit and determination are the keys to success in Beach Olympics. 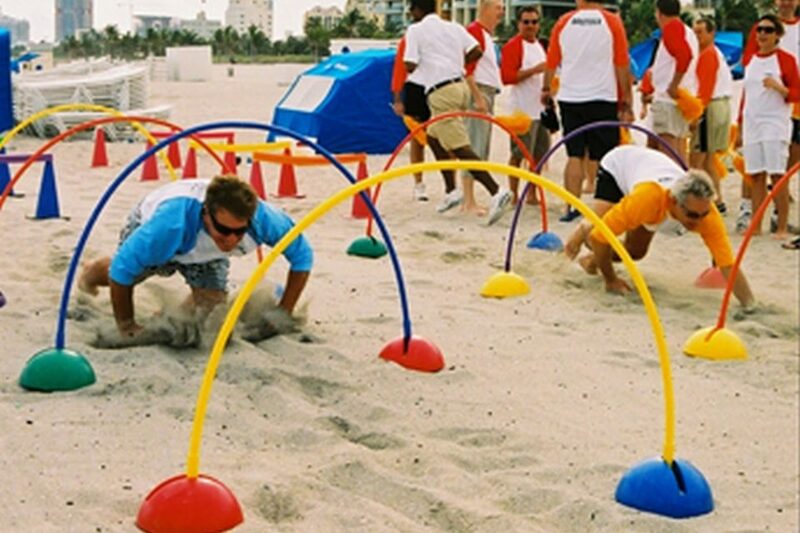 What makes Beach Olympics so popular? 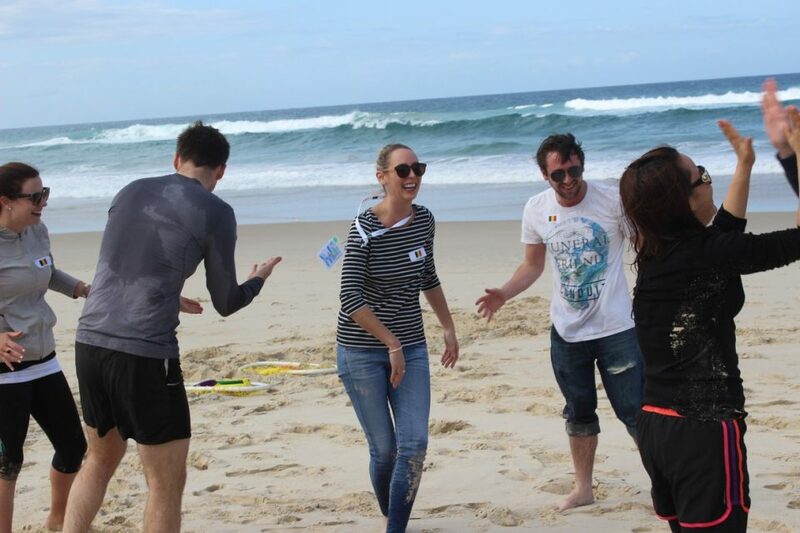 This is a fun, adventure style team building activity that is designed to enhance interaction and bonding and is guaranteed to create a positive shared experience. 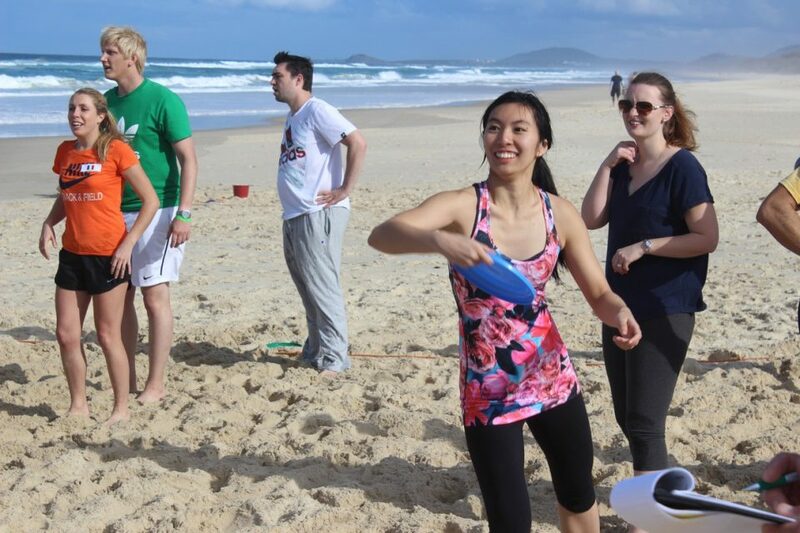 Teams will have fun participating in various activities whilst enjoying the great outdoors and soaking up the fresh beach air. First to the Flag & more! The activity concludes with our head facilitator checking the score board, announcing the winning team and making the awards presentation to a tired but happy group. 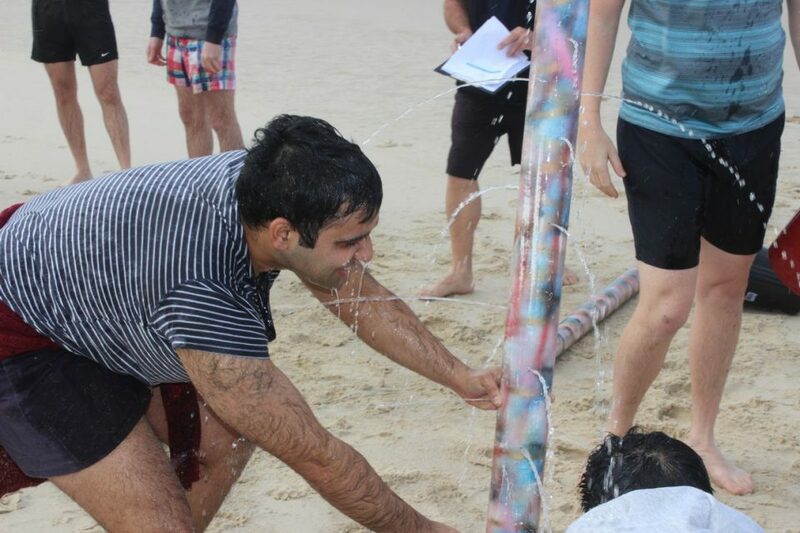 This is an activity that not only motivates and inspires team to work together to achieve success but builds loyalty, trust and a common respect for one another. This activity is guaranteed to be full of fun, laughter and of course plenty of cheers along the way. 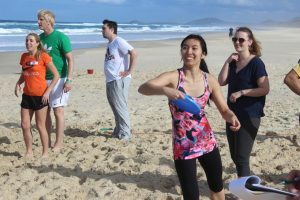 This activity is fun, enjoyable and can literally be enjoyed by anyone and has an activity level of medium. Q: WHAT IS THE MINIMUM & MAXIMUM GROUP SIZE? 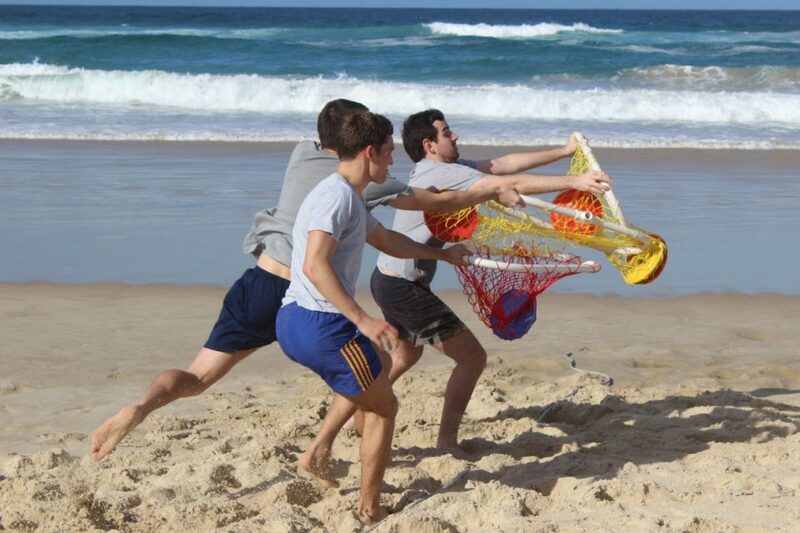 We suggest a minimum of 10 people for this program which allows up to 3 teams to participate. The maximum group size can be anwhere up to 200 people if you like with team sizes of 7-9 people. Q: I ONLY HAVE AN HOUR? That's Ok, we can tailor the program from as little as 1 hour up to 3 hours if you like. Q: CAN PREGNANT PEOPLE PARTICIPATE? Some activities are not suitable to those who are pregnant but there are many activities that they can stsill participate. Each activity is explained to the participants so that those who are pregnant can make an informed decision before participating.